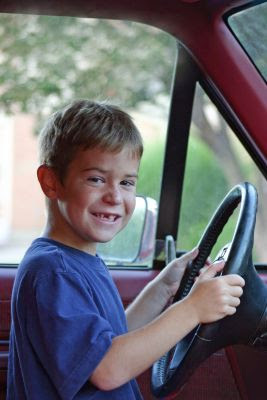 A 6-year-old Virginia boy who missed his bus took the keys to his family’s vehicle and drove nearly six miles toward school while his mother was asleep. Luckily the determined boy only suffered minor injuries and authorities drove him to school after he was evaluated at a local hospital for a bump on the head. His parents, Jacqulyn Deana Waltman, 26, and David Eugene Dodson, 40, are each charged with child endangerment and his mom is being held without bond. His dad was released on a $5,000 bond. Jennifer Garner and Ben Affleck Welcome Baby #2!